Jim Farley has been a busy man over the last twenty-four hours, first dishing the dirt on Lexus’ plans in Europe, then announcing in a Bloomberg interview that Lexus could pursue high performance hybrids aimed at “enthusiast groups”. No details were given, but there’s been rumblings for some time about the possibility of a LF-A hybrid, though in my opinion, a GS-F hybrid is more likely, perhaps using the LS 600h’s engine as a starting point. Of course, the system would have to drop some pounds to make it feasible. One thing’s for certain, hybrid high performance would certainly give Lexus a unique angle in selling their supercars. Lexus also is studying “a hybrid that’s engineered for really high mileage and really low emissions,” Farley said, without elaborating. “There is a huge opportunity for a luxury-car company to be seen as a solution provider in terms of getting away from carbon pollution and heavy reliance on oil,” said Farley, who is based at Toyota’s U.S. sales headquarters in Torrance, California. Lexus is watching to see how consumers react to General Motors Corp.‘s proposed Volt plug-in hybrid, intended to go 40 miles solely on electricity before the engine engages, and Tesla Motors Inc.‘s battery-powered sports car that promises 245 miles of all-electric range, Farley said. 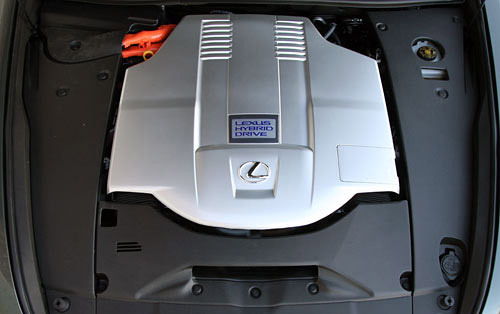 A rechargeable Lexus hybrid with extended electric range is possible, though an improved, “super-efficient” version of Toyota’s current hybrid system may be more likely, he said.